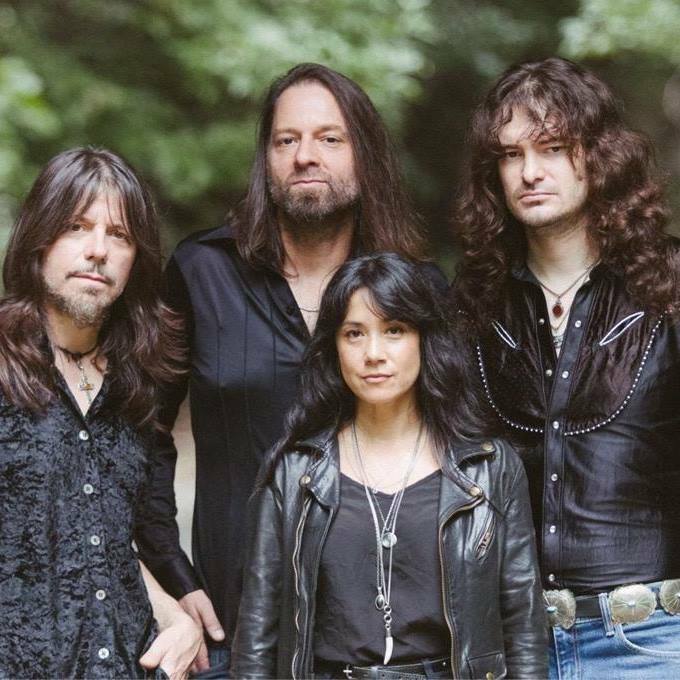 Tanith signs worldwide deal with Metal Blade Records! Metal Blade Records is proud to welcome Tanith to its worldwide roster! 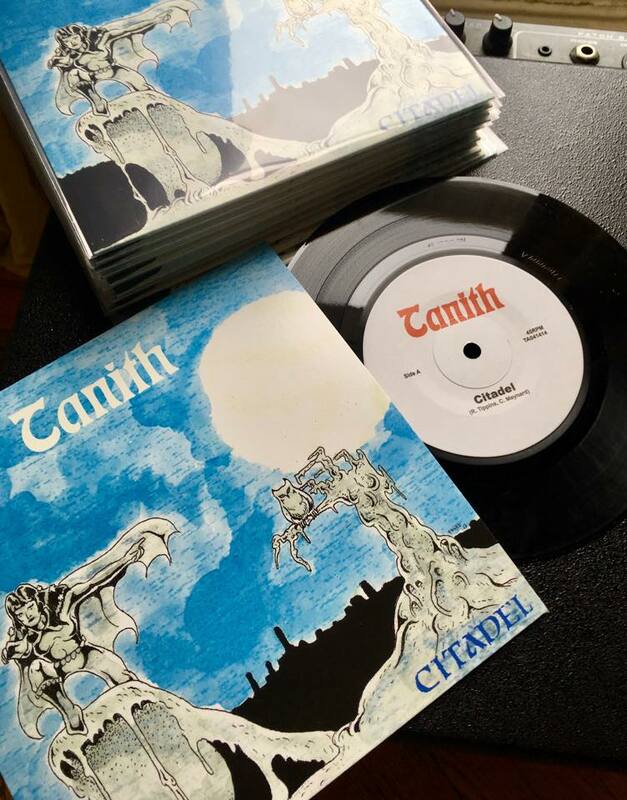 Since the release of their debut 7″ Citadel in February 2018, Brooklyn, New York’s Tanith has garnered a swift rise of interest. Formed between a group of musicians and friends, this US/UK collaboration features the stellar musicianship of Russ Tippins (guitar, vocals) of Satan fame, this time around sharing lead vocals with Cindy Maynard (bass, vocals) and lead guitar with Charles Newton. The line-up is completed by Keith Robinson on drums. 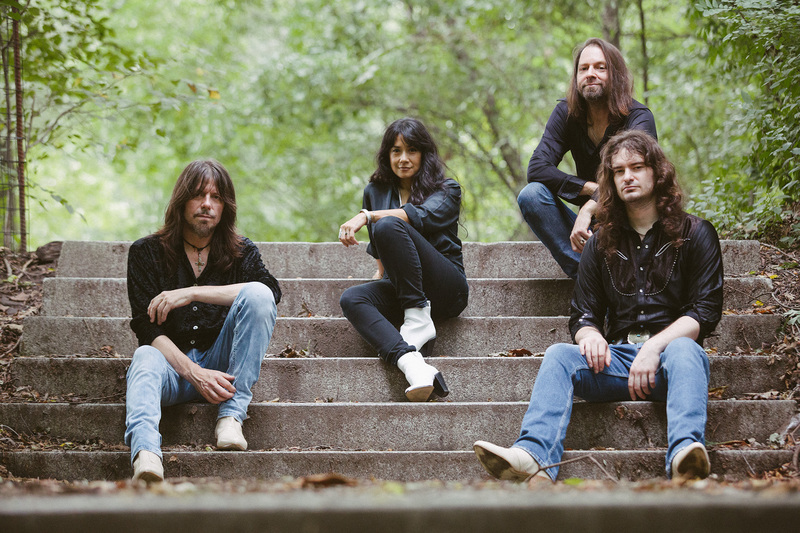 While the music is evocative of 70s-era bands like Blue Oyster Cult and Wishbone Ash, the band itself conveys a signature sound, mixing hard rock and folk elements. The dual lead voices and harmonies are warm and melodic, the twin guitars anthemic and soaring, all grounded by Robinson’s adept drumming. Tracked over two days by Hugh Pool at Excello Studios in Brooklyn, NY, Citadel is the sound of a full band playing live to 2″ tape, with none of today’s digital editing fixes. The 7″ vinyl release of Citadel sold out in 10 weeks. Since then, Hoove Child Records and Antheos Records have both put out cassette versions of the single, while Tanith made live appearances across the USA, culminating at the Frost and Fire Festival in Ventura, California in 2018. Following the initial release and tour, the band has been writing to record enough songs for a full-length. Fans can expect this new Tanith album in spring 2019, so stay tuned for more news coming soon!